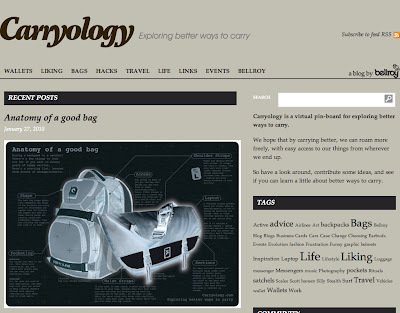 For a bag geek like myself... carryology.com makes for interesting reading. Well worth checking out. I especially like the way they take a narrow "special interest" and really run with it. Nicely done!